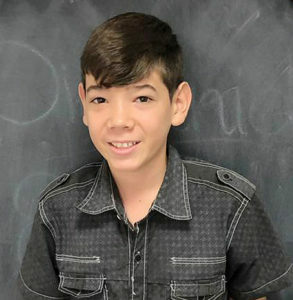 At age 12, Jack is an expressive and caring child who loves animals. He is deaf and communicates through sign language. Jack has a playful and positive attitude and enjoys swimming and playing soccer. He sees himself as a protector of young children and animals and cares deeply for others. Jack is a natural leader and likes around others. He loves giving gifts to those he cares about, such as flowers and handmade cards. Jack expresses interest in having siblings to care for, but the most important thing to him is to have a family that will support him in his studies and love him unconditionally. Jack is excited to meet a new family this summer who will love him forever.